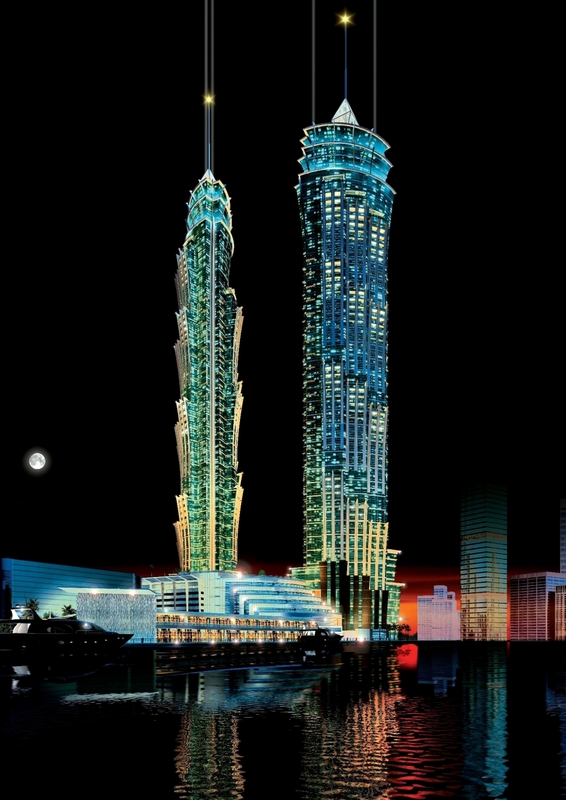 DUBAI — Dubai, which is home to the world’s tallest building and the largest shopping mall, will open the world’s tallest hotel in mid-to-late 2012 at Shaikh Zayed Road. Spread across two iconic towers, the 1,614-room JW Marriott Marquis Hotel Dubai is set to become one of the region’s most desirable destinations, Marriott’s President and Managing Director for International Lodging Ed Fuller told a news conference in Dubai on Monday. The height of the twin towers will be at 365 metres. Dubai is already home to the world’s four tallest hotels that include Rose Rotana at 333 metres, Burj Al Arab at 321 metres, Jumeirah Emirates Towers Hotel at 309 metres, and The Address Downtown Dubai at 306 metres. The upcoming Marriott property is owned by the Emirates Group and the company is expected to invest around Dh2 billion in the property, a top executive of Emirates Group told reporters at the news conference. The Emirates Group is a vast organisation with manifold business interests in the aviation, travel, tourism and leisure industries. 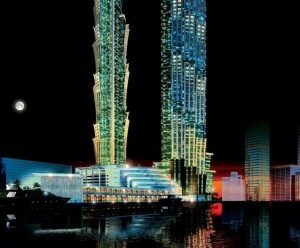 In Dubai, it will be the second Marriott Marquis in the world after Florida that opened last year. It is planned to open in two phases, Fuller said, adding that the first phase will comprise of 800 rooms and the second will bring the total number to 1,614. The US brand has planned to open 43 new hotels in the Middle East and Africa. The UAE will get the largest share in these hotels, as ten new properties will be added in the country. Marriott currently operates seven hotels and hotel apartments in the UAE and new properties will add over 3,000 rooms in the country. Carrying a title bestowed only on the finest properties in the Marriott portfolio, the JW Marriott Marquis Hotel Dubai will encompass two iconic towers and will feature an enticing array of 13 distinctive restaurants, bars and lounges; a luxurious Saray Spa; 4,015 square metres of conference and event space including two ballrooms and 22 breakout rooms; exclusive executive floors and six presidential suites.